In the next 35 seconds, this Dremel 3000 Vs 4000 comparison chart and buying guide will give you the information you need to make an informed buying decision. You’ve decided to buy a Dremel (or you are looking to upgrade the 10-year-old version you have), and you’ve instantly established that the 3000 and 4000 are the best choice. The fact that they are corded is going to give you the best power and unlimited run time. Which one is better? Is it worth the money to upgrade to the 4000? Like any established brand, Dremel rotary tools offer different models at slightly different price points. 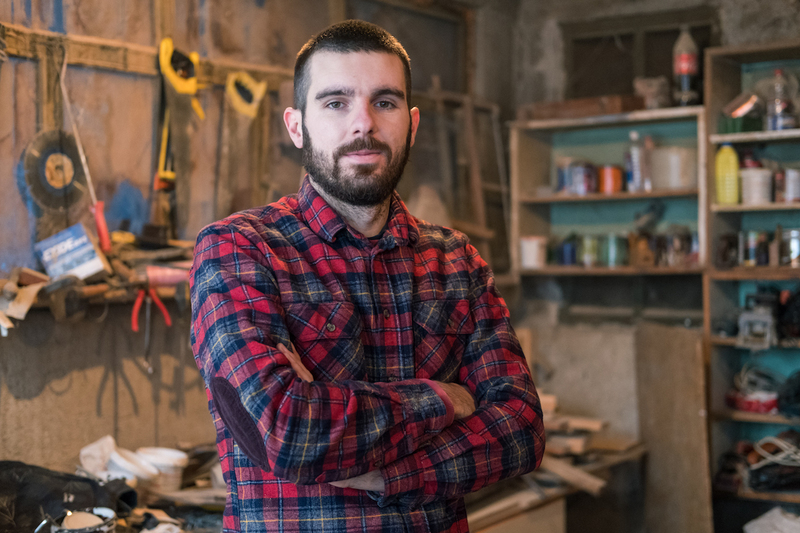 It is a solid strategy that ensures that they can provide something for every budget and keeps cheaper tool brands from gaining a foothold in the rotary tool market. Unfortunately, these model variants can create confusion for shoppers. Do you need to invest more for the best model they make? Would the cheaper model work just as well? Tool Tally specializes in providing tool comparisons that help you make a quick decision. EZ Twist Nose Cap for changing tools. 10 Second Summary: Both variable speed rotary tools are exceptionally well made and offer similar RPMs. Both devices offer an integrated wrench system for easy bit changes. However, the 3000 version tends to “lag” when under heavy pressure and the 4,000 provides a slightly bigger motor to combat this. The 4000 uses an electronic feedback feature to protect the motor and help the motor automatically adapt to different tasks, delivering more performance. 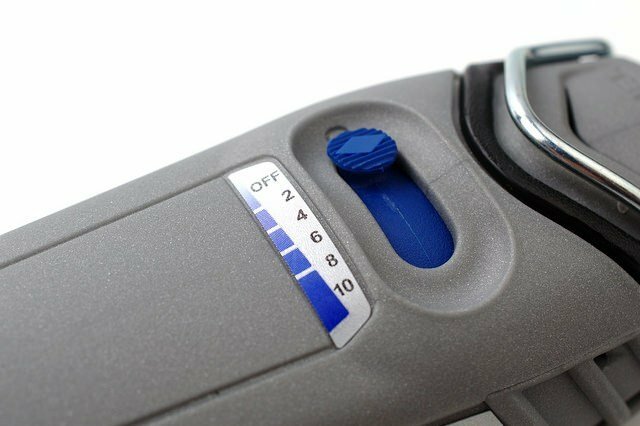 This added control is designed to allow better precision, faster task completion and better motor life. The advantages of the 3000 are a lower price point and a slightly smaller and lighter machine. I prefer the feel of the 3000 in my hand and feel like is much more manueverable. Purchasing Tip: Each model comes with different configurations of accessories. I review the various kits and give you my suggestion on the best arrangements, below. Dremel 3000 Vs 4000: What's The Difference Between Them? These two versions are very similar. For example, if you compare only their RPMs of the Dremel 3000 Vs 4000, you’ll see a similar RPM range for both units. They both start at 5,000 RPM, but the Dremel 3000 caps out at 32,000 RPMs while the 4000 goes up to 35,000 RPMs. While 3,000 RPMs may not make a large difference in the ability to carve, grind and polish, it is one of the notable upgrades that come with the newer model. 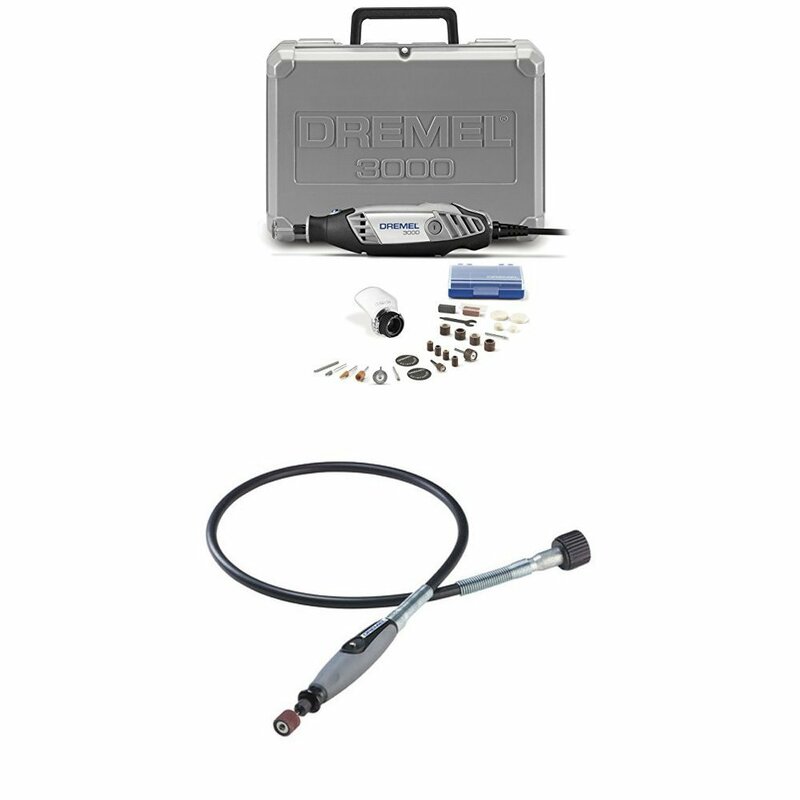 More importantly is that the Dremel 4000 offers electronic feedback circuitry. It appears that this little upgrade allows the Dremel to increase power when under load to help create more consistent speeds. Combined with the higher power and higher peak RPMs. 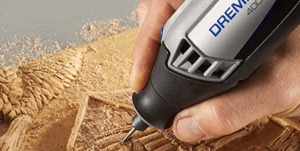 The Dremel 4,000 allows you to work quickly and effortlessly while automatically adjusting to the demands of your task. The electronic feedback control is a significant upgrade. The Dremel has a significant design constraint in that they need to keep it small enough to be handheld, lightweight and vibration-free. It’s not like they can just insert a 3 horsepower motor. The motor must be small enough to fit in the user’s hand. By inventing the electronic feedback control system, Dremel can remove inefficiencies from the drill and create more consistent power. It allows you to get more power out of the same (or close to the same) space. 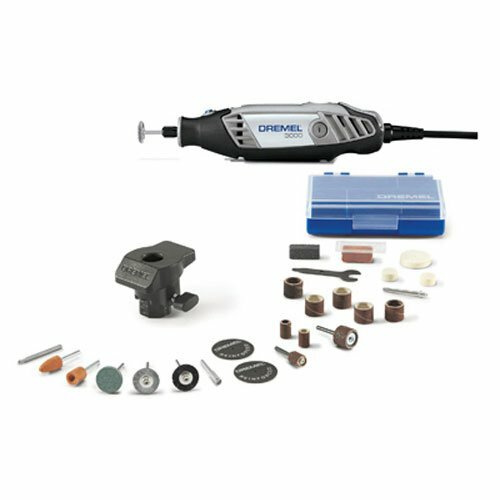 As a result, the 4000 series tool is the most potent line of handheld rotary tools that Dremel produces. (Dremel also has a handy cordless line of rotary tools, but the 4000 is more powerful than those.) With the 1.6 amp, 175-watt motor, this 120volt variable speed rotary tool packs close to the same power as a small blender. Even with these upgrades, the 4000 series can be pushed past its limits and will bog down. It is important to remember that these tools operate on speed, not torque. This is especially true when cutting material. It seems to take extra patience to allow the tool time to pull itself through the material. If you are doing a lot of cutting, consider their miniature saws. Some of the other review sites mention that the 4000 offers better attachments. But from shopping both online and over at Home Depot, the attachments seem to be of very similar quality. In my opinion, when comparing the Dremel 3000 Vs 4000, both tools offer similar levels of durability. The two biggest problems I have found with this tool is that, occasionally, fine dust can get inside the tool and interfere with the connection. Blowing it out with a few squirts of compressed air seems to fix that problem. The other issue is the “blue wire problem” that happens when the tool is dropped. A small blue grounding wire will fall out of its spot, and the tool needs to be re-opened and the wire reinserted. It’s a rather simple fix and rarely happens. Otherwise, both tools offer solid durability against drops and accidents. The biggest challenge is that the ads for these tools show it cutting drywall and performing a variety of other amazing tasks causing users to be overly optimistic about what the tool can do. I had to cut a frozen bolt off of a muffler, and due to the tight space, I opted for the Dremel 3000. It did the job and quite well, but I had to be very patient with the bits as the rotary cutoff wheel took a good 5 to 10 minutes to work its way through the bolt. The 3000 is a little smaller and lighter. For users who do intricate carving work, this is a nice feature as it is that much easier to hold in hand. However, both tools are ergonomically designed and perfect for handheld use with their 360degree grip zone too. Unless you have small hands, the ergonomics difference isn’t likely to be noticeable. Both of these power tools are corded. For the added power, it makes sense to invest in the corded model. But if you are always on the go, you may decide to upgrade to a cordless rotary tool instead. For the cost-conscious, the 3000 offers an insane amount of value. You are getting a tool that can — with patience — do every task that the 4000 can do. It was an upgrade over other models of the Dremel and has been a long-standing workhorse in their lineup. It also has a robust list of attachments that come with it. However, the 3000 also plays an oimportant marketing role in that for only a few dollars more, you could upgrade to the better tool. 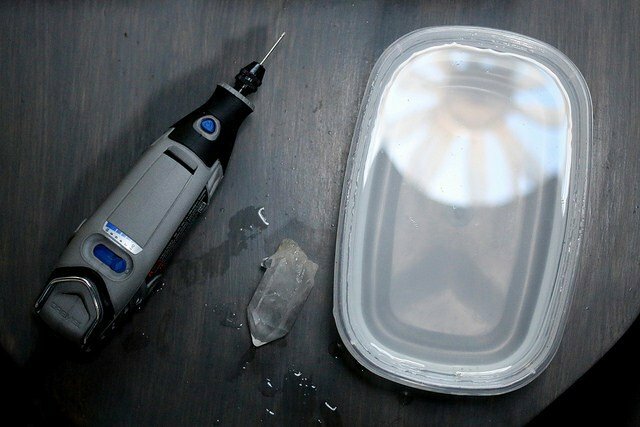 This is a psychological game that big companies play, and Dremel does it as well as anyone. 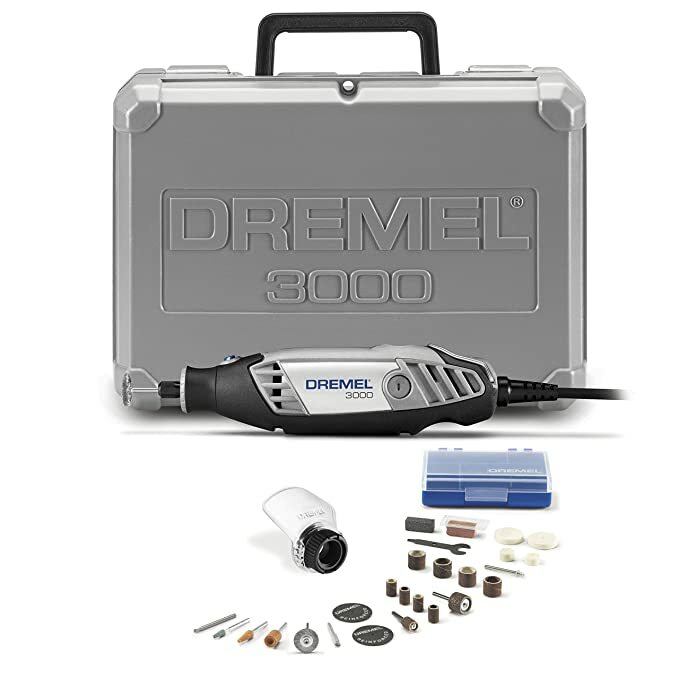 If you are starting, and want your first Dremel, you won’t be disappointed with the 3000. However, if you expect to use it on a monthly basis, then it is worth the extra amount to get the 4000. It is worth investing in the more expensive version if you want a better rotary tool, especially if you plan on keeping it for years and years. I’ve rarely had a time in my life when I haven’t owned a Dremel. So I’ve had the pleasure of enjoying these tools as the company has matured, and offered newer versions. That said, with the internet, we can test a tool among many users. The only downside is that it takes quite a bit of time to go through all of the reviews and top pick out what the commonalities are. I took some time to do that (3 cups of coffee worth) and came up with some uimportant points for you to consider. The Attachments with the 4000 are better. One of the reasons people go for the Dremel is that it is an extremely versatile tool that is handy for solving all manner of problems. While the 3000 comes with a good collection of tools, it doesn’t make you fo “wow.” The 4000 brings that wow factor with added options available such as a guide for sharpening lawn mower blades. Additionally, the 4000 seems to be better at completing construction-type tasks such as cutting tile, cutting holes in the wall and removing grout. The 3000 seems to have a bigger hobbyist and crafter set of users who rave about the tool (although some of the dedicated crafters have upgraded to the 4000). Note that they are labeled like this: 3000 -1/24. The “1” refers to “one” attachment (such as a high-speed cutter), and the “24” is the number of accessories (such as bits) that come in the kit. I find that I go through the accessories pretty rapidly. This is a nice variety to get you started, but if you are doing a larger project, you will need to invest in more of the specific accessory that you need. Note: one of my fellow bloggers or I try to check this list once a year and update it. I don’t make any claims as to the accuracy of the list. If a particular bit is significant to you, you will want to do your due diligence to make sure it is still included. This is a perfect starter kit set for those just beginning with the Dremel or who are purchasing the Dremel for one specific task. The 1/24 is an excellent kit that gives you the most used tools. There are a few small accessory changes with this set from the 1/24. Most notably is the difference in giving up the saw attachment for a shield attachment (reduces flying dust and debris). There are some small variants in the accessories from the 1/24 kit) such as 1 extra sanding band and no nylon brush wheel. I think we can summarize that this kit is designed for the buyer who wants to do a lot of sanding. You are getting the same kit as above with the added Flex Shaft attachment. The flex shaft is one of the handiest tools for completing intricate work. Most folks find that they also need something to hold their Dremel while they are using the Flex Shaft Attachment. This holder is quite inexpensive. This is my top pick of all the 3000-series kits. This one adds a multipurpose cutting guide and some cutting bits to the 1/24 kit. These cutting accessories make it much easier for the user who wants to do more cutting into walls and plunge cuts. However, this is an invaluable attachment for all of our sites. This one also includes more engraving and carving tools. This is one of the most robust toolkits that you can get with the 3000 series. Would recommend this one if you are interested in the 3000-series tool. This is an excellent series to gift to any homeowner or hobbyist. It comes with a nice sampling of the most basic tools. There are some variations of this kit that also give you the flex shaft attachment and/or a chuck attachment for converting this Dremel into a full-on drill. This one comes with more attachments, which expands the range of the tool. If you envision spending a lot of time with this tool, you’ll appreciate the extra advantages that are included in this kit. This deluxe kit is what every shopper should pick up if money is no issue. With 6 attachments and 50 accessories, you are ready for any scenario (except, possibly, a zombie apocalypse). It is one of the most economical ways to pick up all of these features. 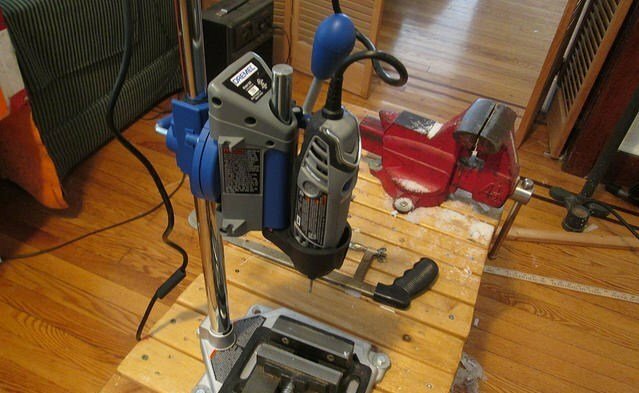 You can even get it with the drill press work stand included that turns your Dremel into a mini drill press. 1 and Lawn Mower and Garden Tool Sharpening Attachment. The Dremel 3000 is an incredible budget tool for the home hobbyist and crafter. The homeowner who is hoping to use the tool in their shop or as a remodeling tool, will appreciate the higher power of the 4000 series and its ability to remove grout and cut tile (plan on buying extra wheels).